Volunteering is a great way to give back to the community by supporting the Omaha Running Club's events held throughout the year. Anyone can volunteer. 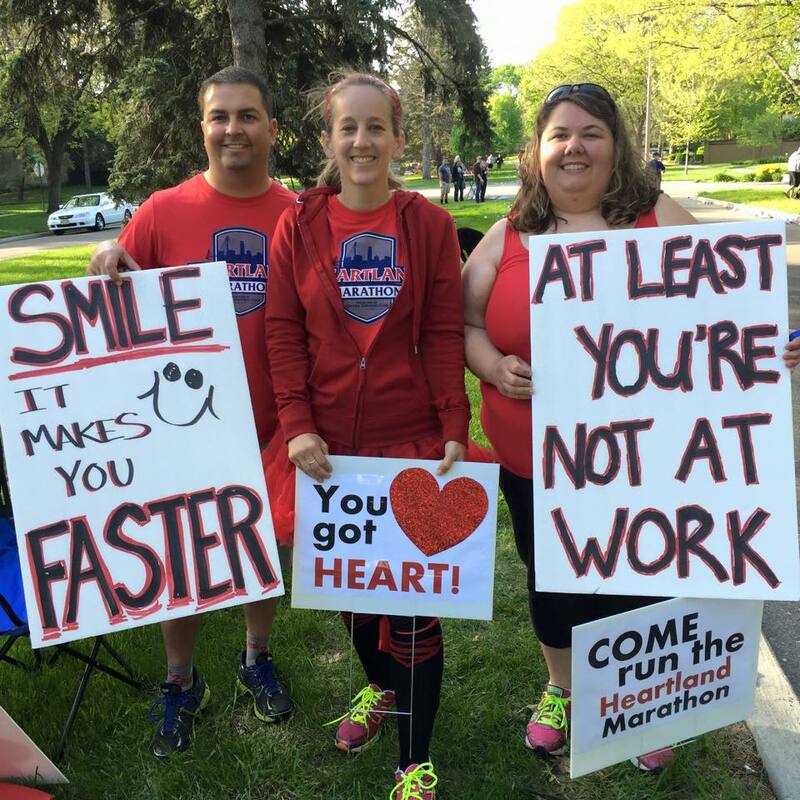 If for any reason you are unable to participate in an event, you can stay active and support your fellow runners by volunteering. Added Bonus: All volunteers receive a 5 point volunteer ticket for each day they help at one or more of our events. Volunteer tickets expire 3 years after the event date shown on each ticket. Volunteer tickets can be used to purchase ORC items at the ORC Gear Sales table available at our events several times a year. Also, volunteer tickets can be used to purchase Omaha Running Club membership. In addition, all volunteers are invited to our Annual Volunteer Appreciation Dinner normally held in May or June. "In 2004, I volunteered for the Omaha Marathon for what I thought was just one time. My one-time event turned into joining the Omaha Marathon race committee the next year doing whatever I could to help. After several years, I finally became actively involved with more ORC events. Although I am not a runner, I volunteered to be a part of the board because I wanted to be even more involved with the club." I don’t run many races anymore but volunteering is a great way to stay in touch with the sport. I also feel that it’s payback to the many people who worked the many races that I ran in. As a runner, I know first had how important volunteers are. Image a race without water stops! I choose to volunteer for the Omaha Running Club as a way to support runners in my community and to pay it forward to the running community at large. "Running is my passion and I enjoy helping others getting involved with the sport so they can enjoy it as much as I do." The Omaha Running Club is an extension of our community and it is our social responsibility to volunteer and help the ORC achieve its objectives of helping our local area become a vibrant and jovial place to live. I volunteer because I know that races can't run themselves. I love seeing runners on race day, the vibe is intense.I love meeting people!!!! I love to volunteer for the Omaha Running Club! I like to help people so I like to do a water stop on a hot day but I really like to feed people so the food areas at the Hearland Marathon and Chiller Challenge are my favorite! There are countless ways to help out at Omaha Running Club events. Volunteer opportunities for ORC races are listed on our event calendar. Click on the specific race you would like to volunteer for and you will be taken to the volunteer information page for registration. The Omaha Running Club is passionate about keeping our trails safe and beautiful. 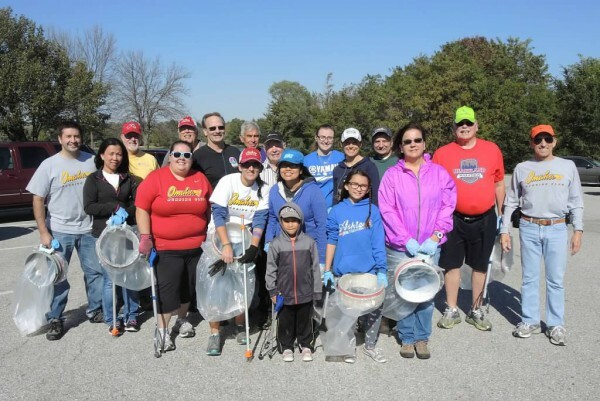 We work with Keep Omaha Beautiful and host trail cleanups several times each year. The Omaha running community makes great use of Omaha's superb trail system and it is our goal to help remove litter and maintain the natural beauty that our trail system offers walkers, joggers, runners and more.